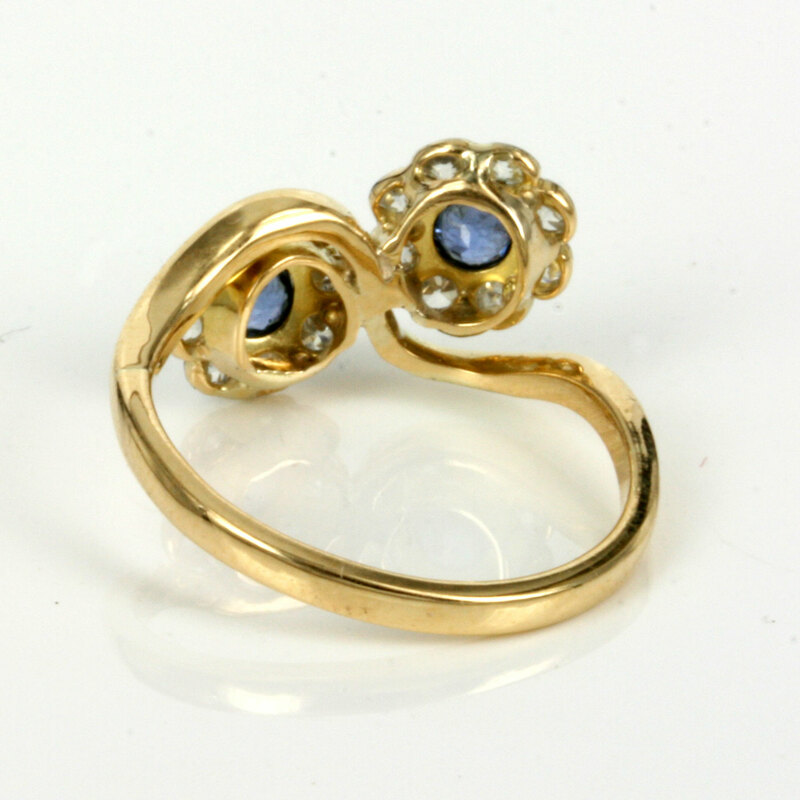 Product code: ES2827 Categories: Sold Items, Sold Rings. What an attractive design and one that will always be admired and commented on. 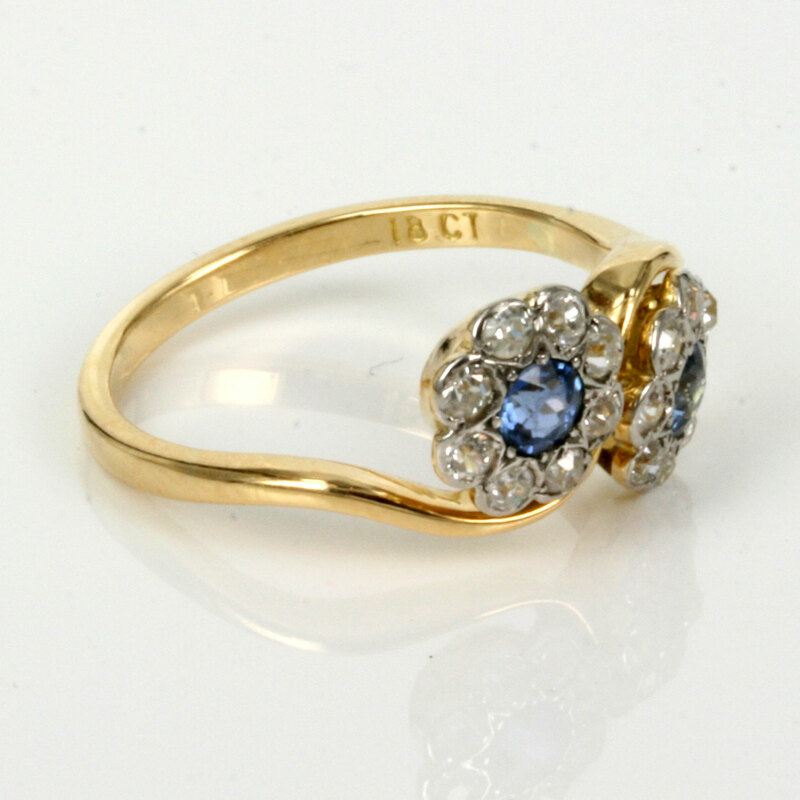 Hand made in 18ct yellow gold in the early 1900’s, the design of not just one but two cluster designs makes this a truly wonderful sapphire and diamond ring that will stand out so beautifully on the finger. Each cluster measures 8mm in diameter and is set with 1 sapphire surrounded by 8 diamonds and the sapphires total 0.40 carats and both have such a nice fine blue and the diamonds total 0.48 carats and of course sparkle delightfully in the day or night. From one end of one cluster to the end of the other it measures 16mm across and set on the twist design band in yellow gold is one of the most beautiful double cluster rings around. 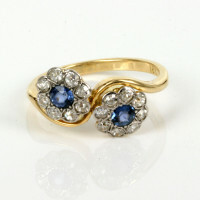 Sapphires and diamonds match so well together and in a design such as this they make this antique ring shine so well.